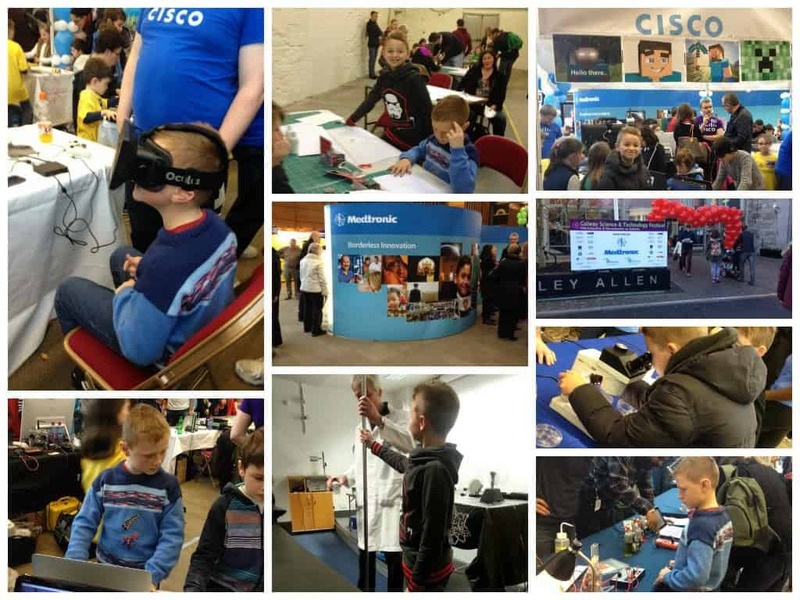 Another year has passed, and it was time for our annual pilgrimage to the Galway Science and technology Festival. You know you are a regular when the exhibitors actually recognize you from the previous year(s) and welcome you to the event! This was at the entrance of the Red zone, and it didn’t look like much, until you looked at it with a camera. It was a design in 3D, and by standing on one leg, it looked like you were standing on a high building. We had a great fun taking this picture! You can check out the 3D Street Art Ireland Facebook page here. Previous years we never quite got our act in gear to book tickets ahead for any of the events and/or the queues were so incredibly long when we were there, but this year was different. 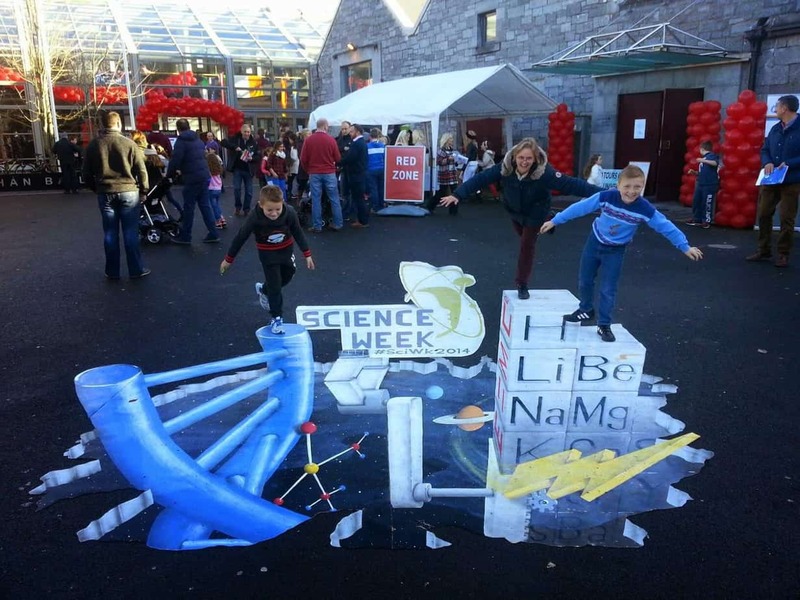 I follow the Galway Science Facebook page, and it was there I was reminded to book the tickets! I was all chuffed when I actually managed to book some tickets… so we went to Steven Craig Mad scientists and Dr, Ken’s entertaining Science Circus Show. We also went to a draw and design workshop, where the kids learnt how to use a cutting knive and make models. Below are some pictures and general impressions. Quite a few multinationals were present such as Medtronic ,Boston Scientific and Cisco, and even the multinationals from long time ago, left their impressions. The add from Digital caught my eye:Are you leaving school this year? If your home is in the West of Ireland, then why leave the West? 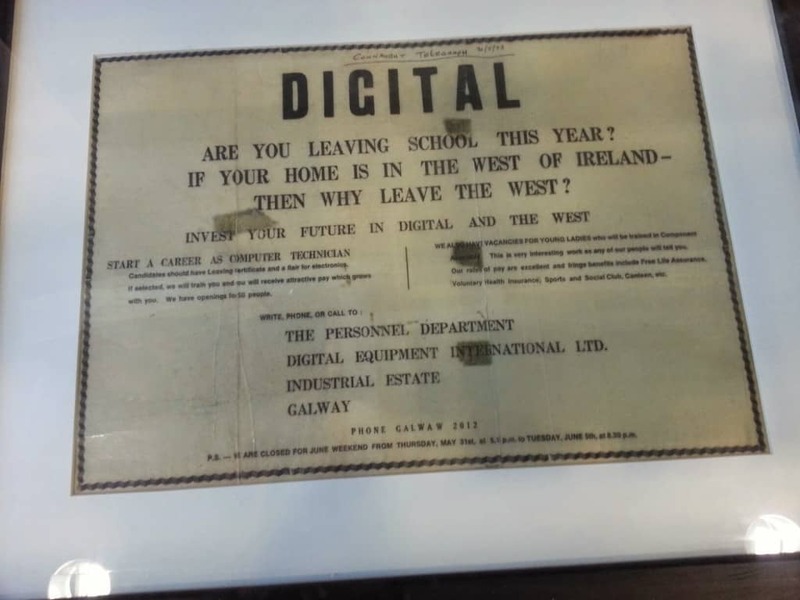 Digital no longer exists, but if you read this article, you’ll see the profound influence Digital had in the West of Ireland. And I bet if you take a a taxi in Galway City, chances are that the taxi driver is an ex Digital Employee! A great day was had, and a big thank you to the organizers!